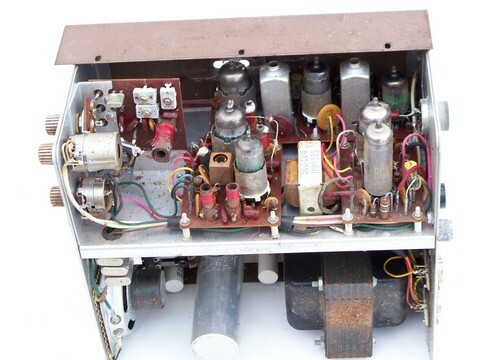 Old 1950s mid-century vacuum tube citizen's band radio transceiver. 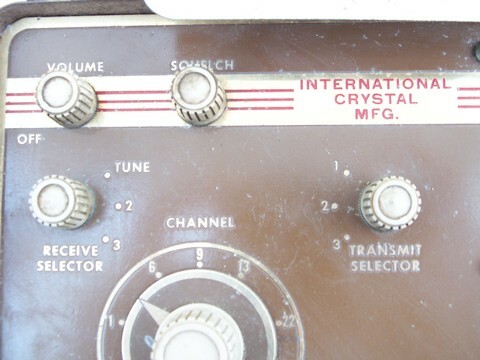 This radio is made by International Crystal Mfg and is part for their "Executive" line. 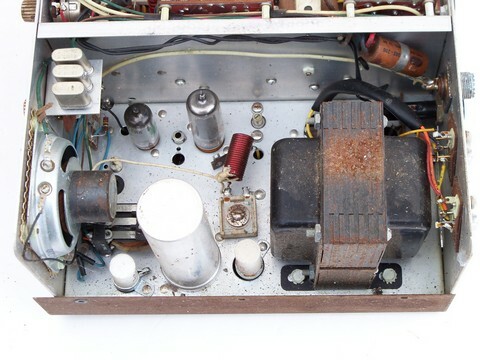 It is a model "CTZ-50". 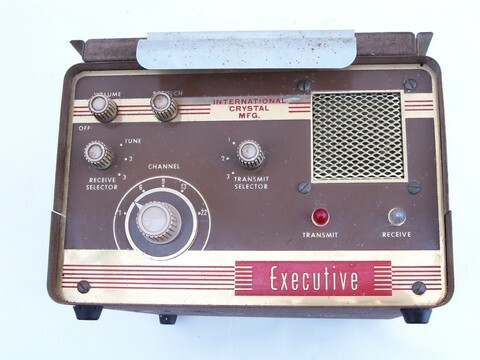 This radio has 22 channels and a vacuum tube schematic on the back. 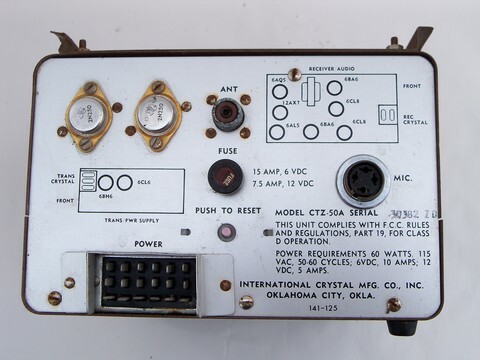 It is also marked for either a 6 volt (6 vdc / 10amp) or a 12 volt (12 vdc / 5 amp) automotive system. It measures about 10" x 6" x 9". 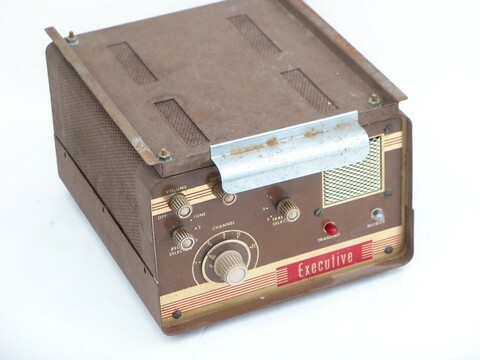 This is from the estate of an industrial communications engineer / shortwave ham radio enthusiast. 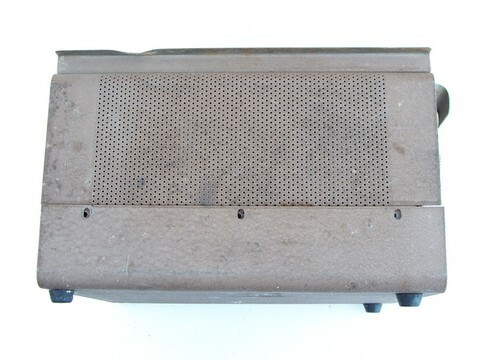 We plugged this radio in and the vacuum tubes glow, but we're selling this for repair or parts. It measures about 10" x 6" x 9".